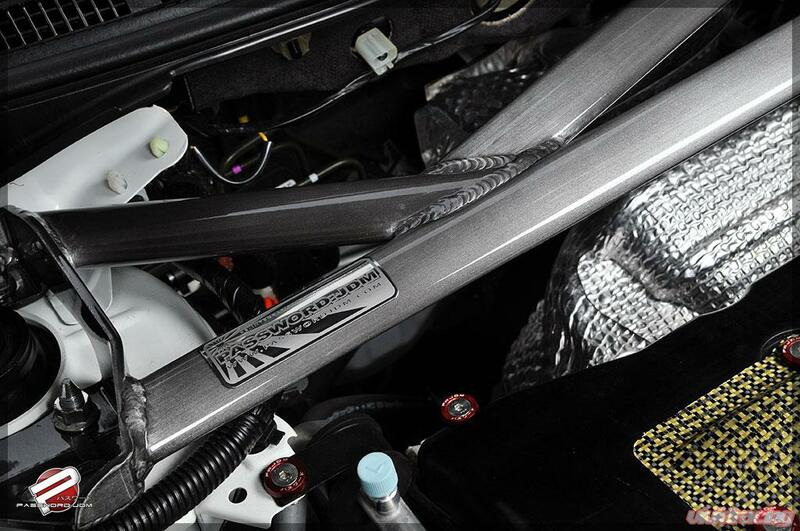 The Password:JDM 5-Point FRONT Strut Bar for the 2008+ Mitsubishi Lancer Evolution X are designed to strengthen the chassis of the EVO by joining the two shock towers together along with a third chassis reinforcement on the firewall. 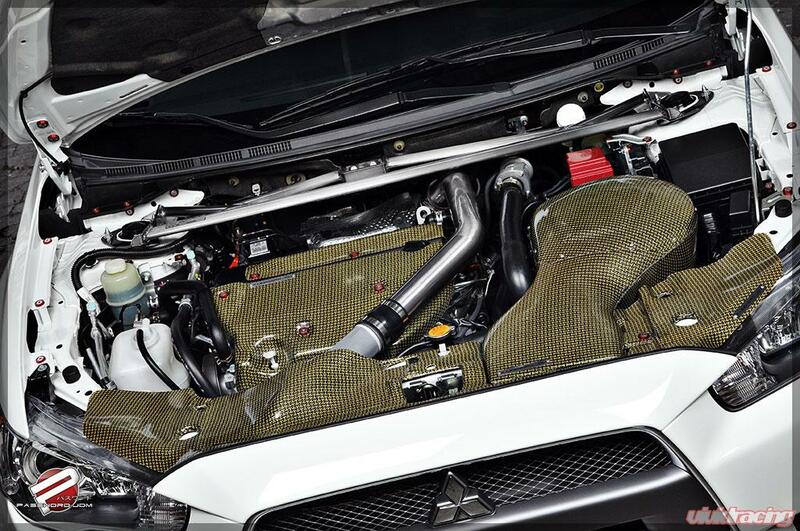 Improve the road feel and handling characteristics of your Lancer Evolution during spirited street or track performance driving. 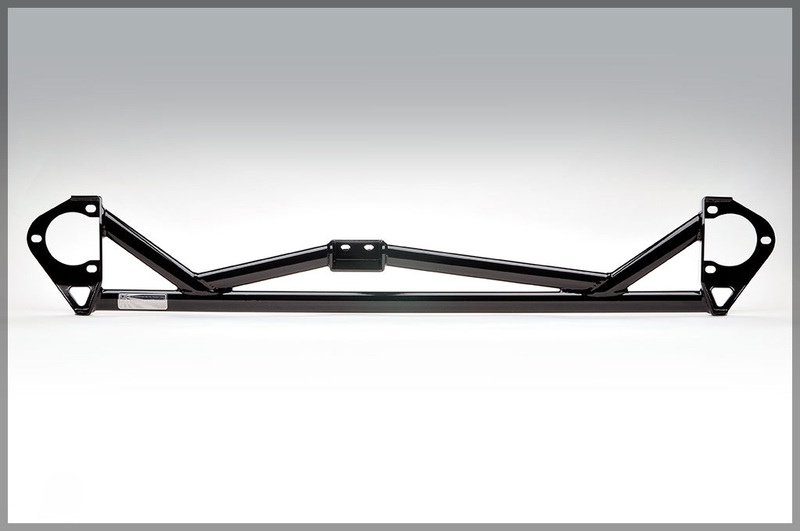 Password:JDM Strut Bars and Braces are handcrafted and developed right here in the states from T6061 aircraft grade aluminum. We're proud to deliver the strongest and best looking aluminum bars in the market, exceeding the competition in both form and function. 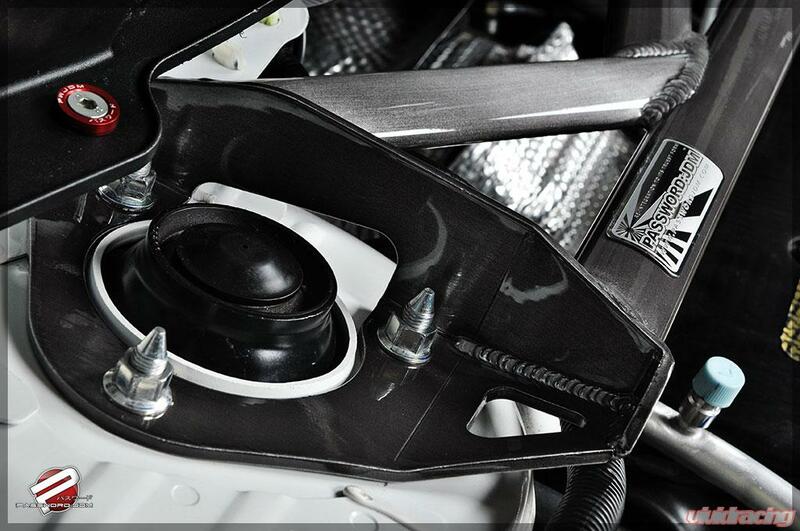 One of the biggest problems with most unibody construction cars that stay BONE STOCK from the factory is shock tower flex, a condition in which the shock/strut towers will flex under hard cornering, resulting in sloppy, unpredictable suspension feel. Say 'NO!' to Shock Tower Flex with the strongest, best looking Strut Bars and Braces on the market. Password:JDM is recognized as an industry leader in the niche market known as JDM! To date, we have imported more JDM products by volume than the next 3 companies combined. 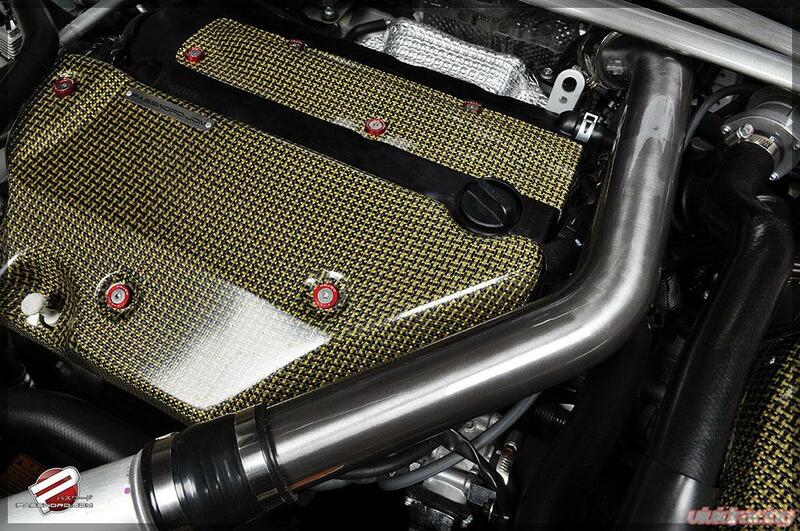 We started life as a direct importer of new and used JDM products and have now become a full manufacturer of performance automotive aftermarket products as well. 90% of PWJDM products are produced inhouse here at our headquarters and manufacturing facility in Pico Rivera, CA. As a direct importer of new and used JDM Honda and Nissan parts, engine/motor swaps, and quite possibly anything else born and bred JDM, our products remain "true to form" and reliable. To add onto your vehicle what the factory left out, we also choose to develop, concept, and manufacture all of our products in-house within our 10,000sq. ft. Pico Rivera, CA warehouse. Made in the USA.